Locals proudly claim that Darwin is the beer drinking capital of the world. This is entirely understandable for two solid reasons: One, it gets very hot there, the heat makes you thirsty, and beer tastes better than water; two, the rules of their annual Beer Can Regatta, in which boats are made from hundreds of aluminum cans, clearly state that all cans must be empty, thus encouraging civic-minded individuals to do their bit and drink up. 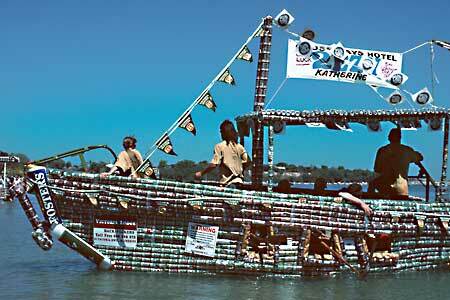 For some crazy photos of some of these "seaworthy" vessels, go here. Telemarketing is a lot like political attack ads... everyone says they hate them, but they obviously work and therefore continue. Ever since the "Do Not Call Registry" (DNC) was created, there has been a general sense of confusion among the public about what is and is not covered. The FTC reported to Congress that 107 million phone numbers have been added to the list since it launched on June 27, 2003. The ironic part about the law is that the nonprofit fundraisers that do the most calling only call their existing house file for renewal gifts and they are exempt because of "pre-existing relationships." It's the small local charities that actually still use telemarketing for acquisition that are affected by the DNC registry. However, when I read that telemarketers who want to match against the DNC registry must pay $56 per area code up to a maximu of $15,400... it's clear that someone is benefitting more than Joe Public - who may or may not be receiving less calls. 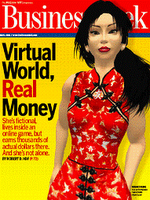 Business Week ran a cover story back in late April describing how a company named Linden Labs revolutionized online mixed reality gaming in November 2003 when it "allowed Second Life residents to retain full ownership of their virtual creations." By using property rights, users had an financial incentive to spend real money on virtual stuff in order to earn virtual dollars that can be converted back to real money. Second Life participants pay "Linden dollars," the games currency, to rent or buy virtual homesteads from Chung so they have a place to build and show off their creations. But players can convert that play money into U.S. dollars, at about 300 to the real dollar, by using their credit card at online currency exchanges. Some entrepreneurs have already begun to make the early stages of significant revenue and many others are following. The article highlights an example of a 35 workers who designs computer animation graphics. "When two avatars click on a little ball in which he embeds the automated animation program, they dance or cuddle together. They take up to a month to create. But they're so popular, especially with women, that every day he sells more than 300 copies of them at $1 or less apiece. He hopes the $1,900 a week that he clears will help pay off his mortgage." The economy and marketplace is extensive. But it will continue to grow with new commercial uses. Established corporate giants like Wal-Mart and American Express are still trying to build a presence in this expanding commercial landscape. So, it's no surprise that fundraisers quickly found themselves buzzing about the ability to convert real life nonprofit missions into Linden dollars into to raise lots of Linden Dollars through donations finally to convert the currency back for real dollars as a donation to a real life charity. The American Cancer Society launch their own Second Life fundraising event titled,"Second Life Relay for Life." According to the onPhilanthrophy, the ACS event raised $38,000 and has already raise the interest from other nonprofits. The onPhilathropy piece also brings up some of the other implications for groups that are first to arrive on the scene and raise money this way. There is not a big leap from doing community walks to employing people to run direct mail and telemarketing programs for national appeal charities. This was covered quite well recently on the NPMarketing Blog. The obvious question that follows each conversion about these mixed reality communities like Friendster, FaceBook, and My Space. Is it a trend? Will is endure as a viable commercial space? Will donors react well to what may very well be the next frontier of fundraising? You probably would do better to seize the initiative, and search for one or more charities that aim to cover your specific interests, that reflect your personal values and priorities. Then check out the charity on the Net, where there are plenty of free philanthropy advisory services. Look for Form 990, which each charity has to submit to the federal government each year, disclosing more than you would like to know. administration, and how much it devotes to the basic cause -- actual charity. Larry Carmony, a partner with Neff & Ricci, the Albuquerque accounting firm that prepares financial reports for United Way of Santa Fe County, said he gets nervous when he sees a nonprofit organization with a low number for fundraising expenses. Nonprofits need to spend a healthy amount of money on fundraising to keep themselves financially healthy, he said. Damn straight Larry. As a fundraiser, I admit there are mistakes we make that we try not to tell the donor. But I must also admit that under the category of "Don't Tell the Donor" - my contempt for people who use percentage of money spent on overhead as a reflection of whether a nonprofit is a good place to donate is short-sighted and ignorant. Maybe you saw this article on the price of the winning bid for Hugh Jackman's jeans in the San Fransico Chronicle? But, if case you haven't seen the results of the jeans auction that took place at a "Jeans for Genes" fundraising event for the Childrens Medical Research Institute in Sydney. 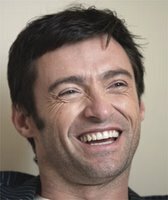 Jackman's old jeans fetched $22,476, more than twice the winning bid for Nicole Kidman's jeans, which went for $8,200 and model Megan Gale's, for $7,500. I mean, I'm impressed... don't get me wrong. But I feel like the donors might not have been aware of the other celebrity swag being auctions by other charities... and therefore the true price of celebrity junk had was not reaching its fair value in an efficient market. What if the donors to the Childrens Medical Research Institute in Sydney would have been told that for the same $22,000 they could have bought potentially different prizes. A date with Jessica Biel raised $30,000 to help a teenager who lost her leg in a prom night limousine accident. For only a little over than a half million more, they could have won lunch with Warren Bufett for $620,000. This story in Saturday's New York Times portrays Elizabeth Dole (R-SC) as someone who has lost her popularity and her ability to effectively fundraise. WASHINGTON, July 22 - The tables were loaded with untouched platters of food as Senator Elizabeth Dole rose this week to introduce her party's Senate candidate from Nebraska. Sixty people were supposed to be at the fund-raiser, but Mrs. Dole, the host and leader of the Republican effort to hold the Senate this fall, found just 18 people scattered across an expanse of empty carpet. It's possible that this is a smear job by others inside her own party who are anxious to take her job as head of the National Republican Senatorial Committee. It could also be that Democrats pushed the paper to carry this story. Either way, it's not going to help Sen. Dole's ability to fundraise in coming weeks. When celebrity fundraisers who rely on personal networks of rich friends begin to lose their mojo... poor fundraising results become a self fulfilling prophecy. On this blog we won't be covering the horse race stories all summer and fall about which politician was able to squeeze in an extra fundraiser before a reporting deadline and appears to have a significant cash lead... we don't cover political fundraising unless their is something the fundraiser doesn't want to tell the donor. She has been lapped in fund-raising by the Democratic Senatorial Campaign Committee. The latest filing, on Thursday, showed Democrats with $37.7 million on hand, compared with $19.9 million for Republicans. If Senate Republicans are unable to close the gap, it will force the Republican National Committee to step in with financial support in tight Senate races - it had $45 million on hand as of Thursday - creating tensions with House Republicans who want that money used to help them. She said that the reason she had less money on hand was because she had invested early in mailings to build a base of contributors for later fund-raising. That might buy her some time with the party brass, but the real question is whether Republican donors will continue giving to a fundraiser whose momentum is fading and whose numbers appear to be on the decline. Let's be very clear about this. There is a difference between fundraisers exercising poor judgment and fundraisers stealing donations. Both types of stories end up here on the pages of Don't Tell the Donor. But make no mistake - this sounds like very serious accusation. The Minuteman Civil Defense Corps calls itself a "project of the Declaration Alliance," although few MCDC volunteers know what the alliance does or why Minuteman donations are routed through the charity founded and headed by conservative activist Alan Keyes. Several Minuteman leaders and members questioned the wisdom of ceding control over fundraising to the Herndon-based Declaration Alliance, part of an intricate weave of conservative organizations founded and chaired by Mr. Keyes or tied to longtime Keyes associates working with MCDC. So, what's the big deal right? They may have sounded a bit crazy. But, everyone knew these volunteers were more of a staged media event than a legitimate border patrol. What's the problem with the "Minutemen" weaving an intricate web of conservative organizations? Mr. Simcox, in an interview last week with The Washington Times, estimated that about $1.6 million in donations have been collected, all of it handled through the Herndon-based Declaration Alliance, founded and chaired by Mr. Keyes... The Minuteman organization has not made any financial statements or fundraising records public since its April 2005 creation. It also has sought and received extensions of its federal reporting requirements and has not given the Minuteman leadership, its volunteers or donors any official accounting. A financial statement promised to The Times by Mr. Simcox for May was never delivered. 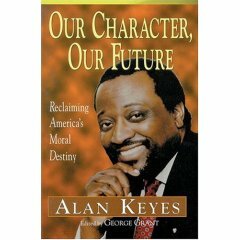 When the reports finally do come out I wonder if we will see Alan Keyes controlled consultants as recipients of this windfall. If we gave out awards on this blog for the biggest "Don't Tell the Donor" of the day... this article in the New York Daily News would be the winner. Two of the most public people in the world had a chummy breakfast yesterday, but media mogul Rupert Murdoch and Sen. Hillary Clinton (D-N.Y.) tried to keep their political get-together as secret as possible. Who do you think was more interested in keeping news of this fundraiser under the radar? An article ran in today's Washington Post on the practices of the Democracy Alliance - a group started with backing from George Soros and Tim Gill. Some people may be concerned that Democracy Alliance is funding further leaning liberal groups (Media Matters) at the expense of centrist groups (Democratic Leadership Council). Others may argue that right wing think tanks give the same kind of anonymity to their donors, so liberal funders should have the same type of "protection" from public scrutiny. But isn't the real question about impact anonymous donors on any nonprofit? I mean, is this really just a case of secrecy in politics? Doesn't the public have a right to know if anonymous donors are pulling the strings of their favorite charities? I love the Congo Gorilla Forest at the Bronz Zoo... if I found out that some big anonymous donors convinced the Board to pull the plug on this exhibit that wouldn't seem fair to the rest of us, right? CASE has a really interesting summary of some court cases in Kentucky that protected a University to protect a donor's privacy. Kentucky's Jefferson Circuit Court found that if a foundation is found to be a public agency than freedom of information laws apply to donor records... unless that donor has requested anonymity. "Respecting the privacy interests of individuals who request anonymity also may serve to encourage those individuals who would otherwise not contribute to make significant donations to the University…The University of Louisville as well as thousands of other institutions similarly situated depend on having the ability to honor requests for anonymity which may be based on something as simple as an individual just wanting to keep his or her affairs private. Without the ability to honor such a request, the Foundation has a legitimate fear that donations may otherwise be lost. Anonymity can serve an important and valid purpose, both for the individuals seeking anonymity and the University which benefits from the donor's gift." For too many years nonprofit organizations have deflected criticism on costly direct mail acquisition campaigns by assuring donors a 1% response is all that is needed to realize a positive net return. There is no doubt that charities are constantly under pressure from Executive Directors and Board Members to raise much needed donations as fast as possible. However, after reading Gracie Bonds Staples recent article online about the increasing use of personalized labels (Stuck with Labels; 6/8/06) I am more convinced than ever the time has come for a more sophisticated analytical approach to fundraising. Fundraising is an investment. While it may be true that using a premium such as labels boosts the initial number of responses, but charities need to look past initial responses in order to evaluate a donor’s average lifetime value (LTV). Yet, there is often a tradeoff between the quantity and quality. In my personal experience, I have found that personalized labels may have a good initial response from donors. Unfortunately, donors who give because they received a free gift are often driven by guilt and are not as likely to give subsequent gifts as are donors who give in response to non-premium mailings. Sacrificing a higher initial response in favor of higher quality donors is not always easy. The multitudes of charity watchdog websites rate charities by the percentage of money spent on fundraising and are unforgiving for longer term investing in a channel with a higher return on investment (ROI). Viewing direct mail acquisition from an ROI perspective takes patience, but it will ultimately show labels to be a less effective long term strategic decision. Board Members and donors who are interested in rewarding organizations that efficiently steward resources need to ask more than "does it increase initial results." Instead, they should ask, "does it boost overall return on investment?" That's ok... the donors will pay for it, right? 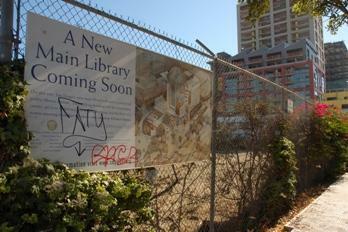 A fundraising effort has been underway since the project passed through City Council as part of a massive library overhaul in 2002. It was always envisioned that philanthropists would be counted on to fund a large portion of the project -- $50 million when the project was announced. But as project estimates have grown in the past few years and philanthropists have been counted on to cover an even larger share of the costs. Today, fundraisers have only officially announced $3 million in pledges -- $82 million short of what planners say they need to complete the $185 million main library. Just as the title of this blog indicates, in the category of things you don't want to tell the donor... this is probably one of them. Lisa Warren, president of the Dover Area High School Parent Teacher Organization and past vice president of the same group at Weigelstown Elementary School, said fundraising is how the group pays for playground equipment, programs, festivals and other events. They could raise $6,000 in pizza sales alone. They might have to try selling healthier food, such as fruit baskets, or items such as wrapping paper or candles. But she isn't certain those items will make as much money. 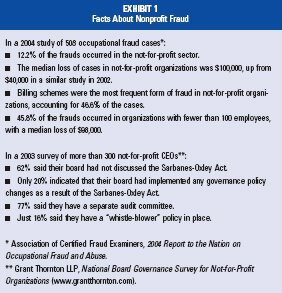 JANUARY 2006 - Fraud in the nonprofit sector has been the object of increasing scrutiny by the U.S. Congress, notably the U.S. Senate Finance Committee, as well as by New York State Attorney General Eliot Spitzer. Recent studies indicate that frauds occur in nonprofits of all sizes and in every area of the country with astounding frequency. Furthermore, the cost of these frauds appears to be increasing at an alarming rate. With small organizations suffering the most extreme losses from fraud and embezzlements, small, community-based nonprofits must be especially diligent in enacting fraud prevention and detection measures. Submit your favorite political "oops"
Aide to House Speaker in CT suspended over fundraising violations. Didn't they get the memo in KS on soliciting lobbyists while in session? Can Katherine Harris (R-FL) get in any more fundraising trouble? Sec. of State candidate in RI accused of soliciting staff for donations. This has got to be an embarrassment. It's easy (and fun) to blame Ann Coulter for headlining an event that didn't raise any money for a Republican candidate out in Colorado... but somehow I also think there has to be a fundraiser on Bob Beauprez's staff that didn't do their job. For organizations that rely on credit card donations instead of opening envelopes filled with cash these mistakes are a lot more visible and usually hit donors in their wallet. When the environmental group Greenpeace UK debited their monthly donors in December of last year, they accidentially charged 100 times the amount they intended. John Sauven, a Greenpeace director, said it had taken immediate action once the software error had been spotted. "We are still trying to find out how this glitch happened but for some reason two noughts seem to have been added, or the computer has converted pence into pounds," he said. oops... but hey, what's a few extra zeros between friends?